Don't let summer make you sick! Eat these foods to be healthy in this sultry season. Summer comes with a number of ailments including heat stroke, migraines, dehydration, chicken pox and others. This is why it is crucial to make sure that you take all the precautions to prevent these health problems. It’s great to up your intake of water-based fruits/vegetables while consuming a lot of natural cool refreshing beverages. 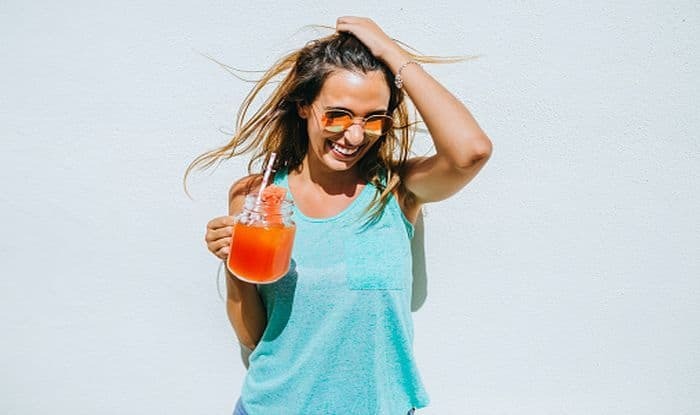 Nutritionist Karishma Chawla shares her summer diet must-haves to keep the hydration levels intact this hot season. Tomatoes: Makes sure to eat lots of tomatoes. Tomatoes are filled with antioxidants like vitamin C and lycopene which will help contribute towards good health and skin. How to use it: It can be eaten in salad mix or raita or in sandwiches or lettuce wraps. Can also have it prepared in skewers, with cottage cheese. Watermelon: This fruit is high in water content and helps in keeping your hydration levels high. It also contains lycopene which helps protect skin cells from sun damage. Watermelon is a good source of pectin too. The fruit can easily be made into jams, jellies and marmalades. Did you know that watermelon seeds are excellent for your health too? The seeds are considered to have a cooling effect. Best time to eat: Watermelon is best eaten in the first half of the morning by itself or in a mixed fruit salad. Zucchini: Zucchini is composed of water (94 per cent of its weight) making it a perfect ingredient in summer. It’s a high source of antioxidants like vitamin C, it helps to boost the immune system, it helps in skin care and eye care. It also has anti-inflammatory properties. Being high in potassium it helps to keep blood pressure in check. How to use it: It can be made like spiral noodles (spaghetti) tossed in olive oil as a mid-evening snack. It can be added to sauteed veggies or salad or as a side dish with a grilled fish or chicken for lunch or dinner. Leafy veggies: Leafy vegetables like spinach have high moisture content. Best eaten: They can be best eaten as sabzis or raita or salad or made as a smoothie in skimmed milk or almond milk.